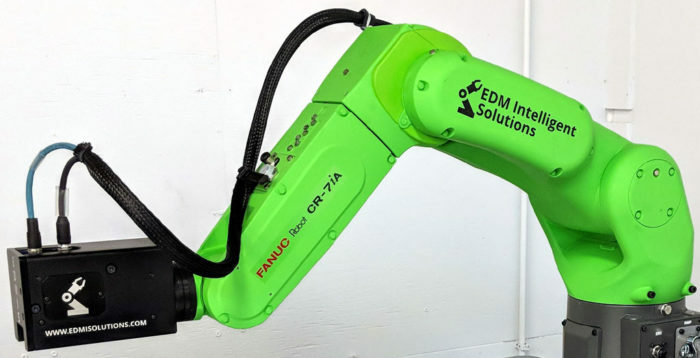 EDM Intelligent Solutions (EDMIS) combines state of the art automation, measurement, and manufacturing technologies, along with 20 years of industry experience to provide our customers with multidimensional automation solutions that fit their custom needs. We specialize in machine tool manufacturing intelligence software, in-line and near-line industrial 3D metrology and inspection, robotic machine tending and pick and place systems, and solutions for automated manufacturing and quality monitoring of production processes, all while accommodating the tight tolerances that are required for these high precision processes. Our full range of standard and custom modern measuring systems allow us to quickly fulfill the intelligent automation and industrial measurement requirements across the aircraft, automotive, mechanical engineering, medical, plastics, and semiconductor technology industries. 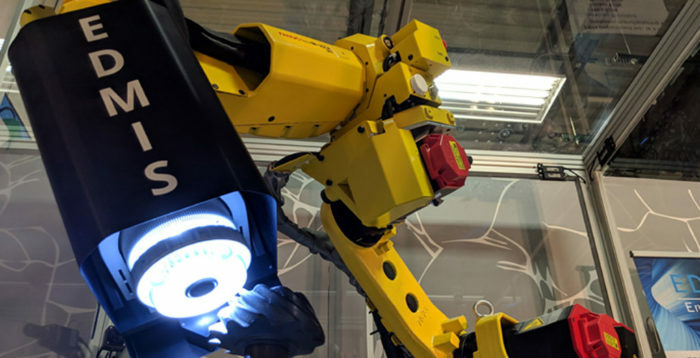 An entity of our parent company EDM Department, EDM Intelligent Solutions has been developing leading-edge automation systems for manufacturing and inspection since 2010. This area of the business is comprised of experts in the fields of tight tolerance manufacturing, production process inspection, 3D applied technical metrology and flexible automation and manufacturing solutions. If you have any questions about our Intelligent Solutions services or are interested in learning more, contact us now!